Tony Stark facing fire and PTSD. Take a breath before you yell at me about my star rating, Marvelites. Yes, I know you’re upset. 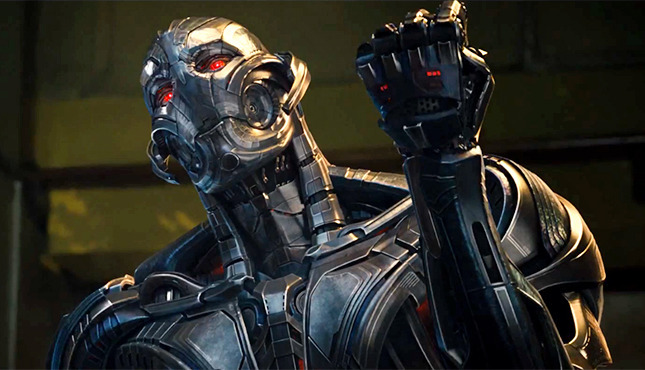 I know Iron Man 3 changed one of your favorite characters. I get it. I would be upset too, if that happened to one of my favorite comic book heroes. But you have to understand that this is a movie and not a comic book. It’s not trying to accomplish the same thing. It’s playing by different rules. And since it’s a different ballgame, we need to judge it fairly, on its own terms as a movie and not as a Marvel property. If you’re able to do that, you will find that Iron Man 3 is quite excellent. It is a grand extravaganza of smart writing, great acting, witty comedy, and explosive action that’s all bow-tied together into one climactic and exciting superhero blockbuster. You couldn’t possibly get a better follow-up to The Avengers than this. Set a few months after the events of The Avengers, Tony Stark, once portrayed by Robert Downey Jr., is struggling with post-traumatic anxiety attacks after fending off the alien invasion of New York with his other fellow heroes in The Avengers. While recovering, Tony is faced with a new threat: the Mandarin (Sir Ben Kingsley) the heinous terrorist leader of the Ten Rings army, who wages a one-man war against the United States of America. When one of Tony’s friends becomes injured in the crossfire, Tony vows to find the Mandarin, fight him, and bring him to justice for his malevolent crimes. 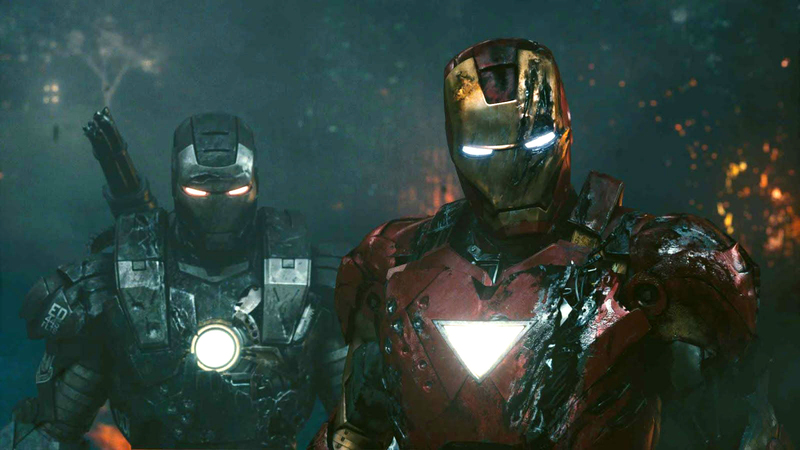 The first of the Iron Man trilogy not directed by filmmaker/actor Jon Favreau — who also portrays Tony’s driver Happy Hogan — Iron Man 3 is instead helmed by writer/director Shane Black, who is most known for directing Kiss Kiss, Bang Bang and writing the first two Lethal Weapon movies. Seeing him at work here is a blessing to the superhero industry. His wit, sarcasm, and charisma come off of the pages as fluently as Stark’s highly entertaining ego does. Black provides great dialogue for Tony, and often the delivery of the lines result in wild hilarity and laughter. Take, for example, one scene where a small, blond child with glasses comes up to Stark in a restaurant asking for his autograph. “I liked you in A Christmas Story, by the way,” Stark quipped. Blacks writing was the best thing that could have happened to Iron Man 3. The writing feels so fluid and natural that Stark might as well be writing the script for himself. Speaking of Stark, it’s impressing at how well Robert Downey Jr. inhabits Tony Stark yet again. He always seems to just disappear into this role, and he always portrays Stark in a crass, crude, witty, yet concerned and somewhat heroic fashion. There is such fascination with his character that he keeps watchers interested even when there isn’t something blowing up on the screen. In this case even more so, since Tony is facing the added complexion of PTSD and panic attacks in the film. This humanized the character in a different way than the previous Iron Man movies did, as we see him less as this larger-than-life egotistical figure, but more as this shallow, frightened, and troubled young man. It brought to mind the experiences of war-torn veterans after coming home from a long battle. And yes, I know they’re different scenarios. They still invite the same reaction, which is sympathy. And then there is the action. Boy, is there the action. 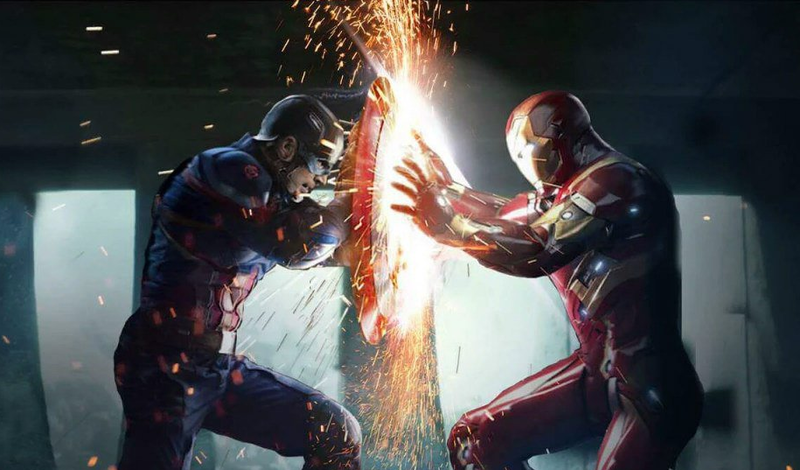 Similarly to how The Avengers kept building its suspense by repeatedly raising the stakes of the threat, Iron Man 3 also builds excitement and anticipation through every explosion, every punch, every rocket, every bullet and every armor piece Stark puts on. In one of the most exciting moments of the picture, Tony assembles an armada of all of his robot suits, remotely-controlled by his A.I. companion. J.A.R.V.I.S. I thought two things when I saw this: 1) Why didn’t he bring these suits out during The Avengers? 2) Since J.A.R.V.I.S. 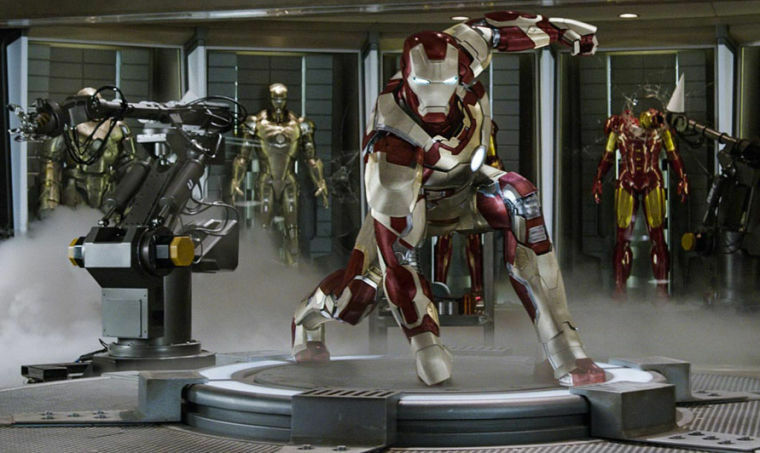 can control his own suits, is there really a need for Tony to be Iron Man? I suspended both plot holes for the sake of enjoying the moment. Seeing robot suits and bad guys firing at each other in brilliant, mid-air acrobatic stunts was so much fun that it was easy to throw disbelief out the window. There are a few films that can do that, where they not only encourage you to suspend your criticisms, but they also succeed in doing that. Iron Man 3 succeeded in its task, and I found myself smiling a lot throughout the movie, even in the face of its flaws. And then, of course, there’s the plot twist. How can I so easily accept it, whereas I know other comic book fans won’t be able to? I think it’s because Black saw a deeper story at play than the comic book’s mythos, and that is a story of conspiracy of deceit. Say it’s unfaithful. Say it’s inaccurate to the comics. You’re right in both statements. But you can’t deny that Iron Man 3 is a deftly intelligent story, a compelling drama, a quirky comedy, and an explosive action fest. Iron Man 3 is more than a great sequel. Iron Man 3 is great entertainment. Be honest with me, readers: who was expecting Iron Man to be good? I know I certainly wasn’t. I looked at the film’s poster and consecutively thought three things. 1) Iron Man… isn’t that the robot guy that helps Spider-Man every once in a while? 2) Wait, Robert Downey Jr. is starring? He’s still acting? 2) Directed by Jon Favreau… the actor? Wasn’t he in Daredevil? And he also directed Elf and Zathura… is this a kids movie? Luckily, I was proven wrong on every single front and then some. Iron Man is an astonishing, spectacular movie, a superhero epic that understands and personifies every aspect of the character alongside the visual effects. It understands his origin story, his motivation, his relationship with other characters. Himself as he experiences guilt, regret, and ultimately redemption for his past sins. This is a movie that can not only stand toe-to-toe with some of the greatest action films of the past decade: in many ways, it exceeds the genre itself to create something much more unique and compelling. Billionaire and CEO of Stark Industries Tony Stark (Robert Downey Jr.) has it all. Girls. Money. Martinis. All because he is a brilliant scientist and weapons manufacturer that constantly outsources to the U.S. military and anyone willing to pay his high-dollar price. But when Tony is captured by a terrorist organization known as “The Ten Rings” while on a business trip in Afghanistan, he realizes what his weapons are truly being used for: disaster, destruction, and death. Now, the Ten Rings want him to make his most destructive weapon yet for their nefarious purposes. Struck hard by this horrible turn of events, Tony creates a suit of armor capable of flight, strength, and laser-firing technology, and vows to fight the Ten Rings and anyone else who dares to use his weapons for destruction again. He is no longer just Tony Stark. He has become Iron Man. For that matter, so has Robert Downey Jr. I need to talk about Downey Jr. before talking about anything else. Downey Jr. is the direct influence behind this film’s success: the definitive superhero performance that hasn’t been this fulfilled since Christopher Reeve put on the cape as Superman. Downey Jr. doesn’t just play Iron Man: he also plays Tony Stark, and that’s very important to understand. If he was just playing Iron Man, all he would need to do is say a few lines in between action sequences and let the visual effects do the rest of the acting for him. That doesn’t happen in this movie. Downey Jr. and director Jon Favreau smartly observe that the true appeal of the film does not come from its action and violence, but from its character, who is complex and characteristic enough to maintain interest all by himself without needing extra help from the visual effects. Take the film’s anti-war message as a testament to its emotional weight. In the beginning, Stark is an egotistical, sarcastic, smirking, and wickedly intelligent businessman who could be considered the Donald Trump of modern warfare. He thinks he’s building all of these weapons to protect people, and then his world is flipped completely on his head as he sees all of the damage being done in Middle Eastern countries through his design. There was one great action sequence in the movie where Tony, suited up as Iron Man, fights members of the Ten Rings army in Afghanistan. These soldier’s are tearing through innocent civilian’s homes, shooting blind fire into crowds, and taking families hostage. One child is about to witness his papa’s murder before Tony flies in at the last second to save him. On the surface, this is an exciting and unique action scene, and a rare instance where the world of the superhero crosses over into our world of reality. 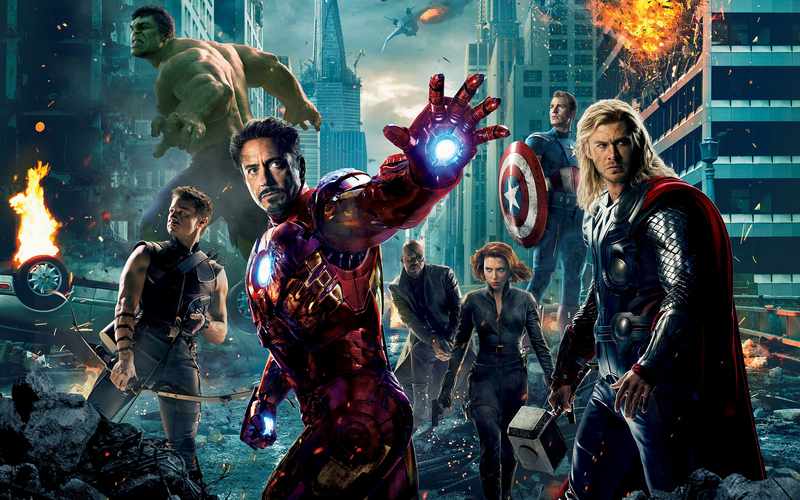 Can you name another movie where a superhero is fighting terrorists in the Middle East? I wonder. Since the movie carries a very clear anti-war angle to it, could this scene possibly be considered commentary on our involvement in the war in Afghanistan? Maybe I’m reading too much into it. Maybe I’m not. But the point is that the movie doesn’t see Iron Man as a superhero. It sees him as a person, ridden with guilt and trying to do good deeds to serve as penance for his ignorance. This deepness rivals the complexion of the recently released The Dark Knight, another superhero movie that looks at its hero through a real-world perspective instead of the fantastical, wild panels of a comic book. And Downey Jr.’s delivery is spot-on. His quick-witted remarks and condescending quips make him every bit an entertaining character as it does an introspective one. Downey Jr. personifies and embodies the role so well that it seems like he’s no longer acting, but simply being. 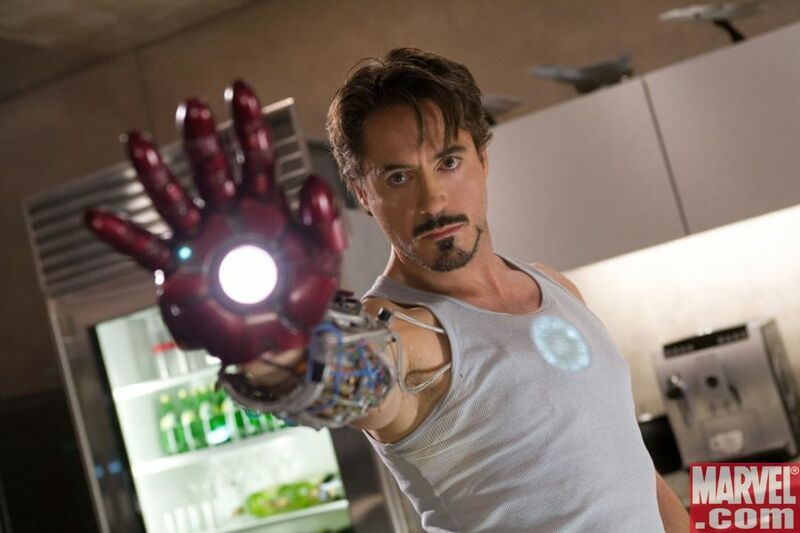 Downey Jr. is a complete natural as both Tony Stark and Iron Man in the film. Even if this weren’t a superhero movie, I think I would still be interested in the movie due to his emotional gravitas and his comedic sense of timing. He’s that great in the role, to the point where we have just as much fun watching Tony Stark as we do Iron Man. And the action. Oh my word, the action. Normally I don’t like writing about action sequences, because writing about action is boring. You like to experience the action: not hear someone else talk about it. But here, I feel compelled to talk about it. Because again, we understand the character. We know where he’s coming from, and we relate to him. Because of this, a lot of the film’s action sequences carry a lot more weight to them, because we understand these people and why they’re fighting. So whenever we see Tony building a robust Iron Man armor to escape from an army camp, or see him suit up and experience excitement as he’s flying for the first time, or when we sense his determination as tensions rises both in the states and in the middle east, we know where Tony is at and why he is there. This is not mindless action, but action with a purpose: the best kind you can have in any movie. I knock off one point, and one point alone for the film’s one weakness: Tony’s last line in the movie. No, I won’t spoil what he says, but I will say if I was a high-flying, armor-weilding superhero like Tony, I would not say what he said in a million, million, million years. The movie is flawless otherwise. I don’t know what I was expecting out of a B-grade superhero, but I ended up getting an A-grade product. Iron Man is to today as Superman was to 1980: it has defined the superhero genre of film, showing us what it can do and demonstrating what it can be. More films should aspire to be as impactful as Iron Man is. Correction: The original version of this article incorrectly referred to Afghanistan as Iraq.